If you’re ready for a sci-fi adventure in the theater, unlike any you’ve experienced before, prepare to find your place in the Universe with JUPITER ASCENDING. 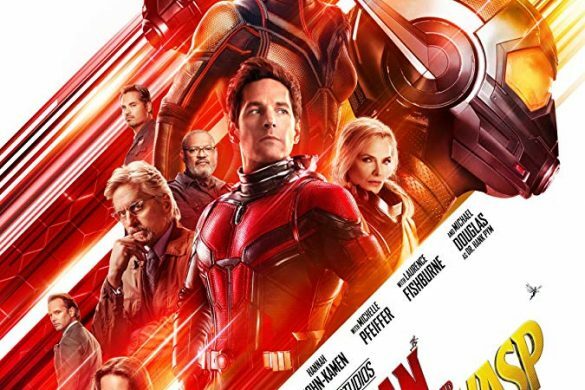 While I’m not always a fan of movies that feel the need to crack the two-hour mark, I did remain intrigued for most of the two-hour, five-minute ride. There were moments that had me checking my watch. Lana and Andy Wachowski wrote and directed this story. And, as you’ve come to expect from them, they deliver exciting visual effects throughout the adventure. Mila Kunis plays Jupiter Jones with a sharp edge, stunningly good looks and, thankfully, a sense of humor. Channing Tatum flashes his physique and flies through the air with his out-of-this-world powers. And Eddie Redmayne delivers a performance that continues to show his amazing range as one of the most exciting new actors in film. There are cheesy, sappy moments when the love story has to play its part, but they’re brief enough to handle and chuckle at. Beyond that, the story and plot line can be a bit of a headache with clunky mythology and clutter. But JUPITER ASCENDING is all about the effects. And some of them are spectacular! There’s one thing I will promise you: you’ll leave wanting to get your hands all over Channing Tatum’s…shoes. Trust me. 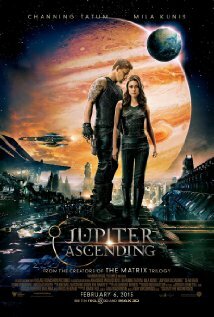 JUPITER ASCENDING is Rated PG-13.